Accidents and injuries can happen at any time and in any place. While you may think you are doing everything right and are perfectly safe, all it takes is for one split second of someone not paying attention and you could find yourself involved in some type of accident or suffering a personal injury that can be very debilitating to you. All of a sudden you could find yourself out of work for weeks or months or even on permanent disability, leaving you to wonder how you will provide for your family and pay your bills. In situations such as this you want to turn to BelalHamidehLaw.com to get the help of an accomplished and experienced attorney. In a perfect world, you would have no problem at all getting the money that you are entitled to when the accident and injuries you have suffered are the result of negligence from another party. Unfortunately, this is far from a perfect place and very often you must be willing to fight for your rights and take an aggressive approach just to get what you are legally entitled to. Insurance companies and lawyers are going to do all that they can to make sure you get little to nothing in terms of compensation. That is why you want to make sure you have an attorney to protect your rights and who is willing to fight for you to make sure you get the best settlement possible so that you can be provided for. When you visit BelalHamidehLaw.com, you will learn that this particular law firm can provide you with representation in any type of injury case or accident case that you may have been involved in. The office has many years of experience in dealing with car accidents, bus accidents, slip and fall injuries, workers compensation cases, medical malpractice and many other areas. 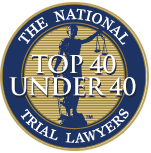 You can be sure to get expert advice and guidance in your case and your attorneys will work hard on your behalf to make sure that you get a quality settlement in your favor. If you have been involved in an accident and have suffered injuries, you want to make sure that you go to BelalHamidehLaw.com so you can learn about the protections that can be available to you. 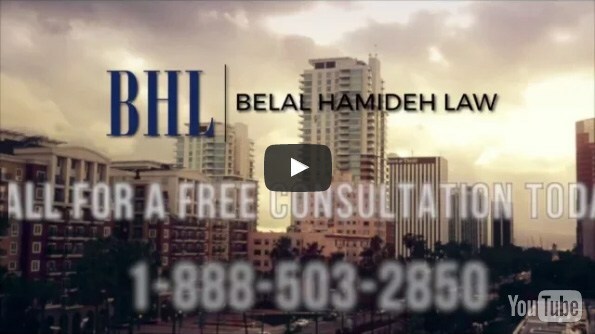 You can reach out directly to the Belal Hamideh Law offices by calling 888-503-2850 and arranging an appointment for a free consultation.